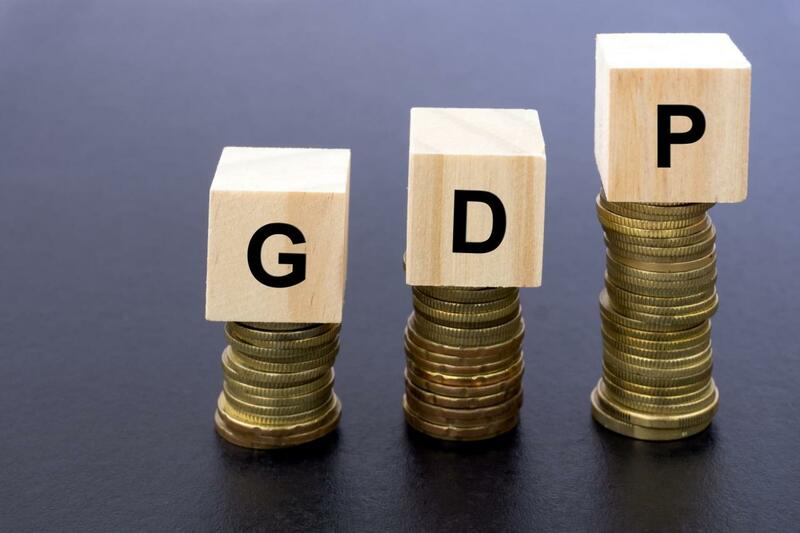 Nigeria’s Gross Domestic Product (GDP) growth rate increased by 2.38 per cent (year-on- year) in the fourth quarter of 2018 (Q4, 2018), according to the National Bureau of Statistics (NBS). The growth rate indicates a 0.55 percentage rise compared to the 1.81 per cent growth recorded in the preceding quarter. It also represented an increase of 0.27 per cent when compared to the 2.11 per cent growth rate posted in the fourth quarter of 2017. According to the Nigerian Gross Domestic Product Report for the fourth quarter and full year 2018, released yesterday by the NBS, on a quarter on quarter basis, real GDP growth was 5.31 per cent. “The fourth quarter growth performance implies that real GDP grew at an annual growth rate of 1.93 per cent in 2018, compared to 0.82 per cent recorded in 2017, an increase of 1.09 per cent points,” the NBS said. In Q4, aggregate nominal GDP stood at N35.23 trillion, higher than N31.27 trillion recorded in Q4, 2017, representing a nominal growth rate of 12.65 per cent. The report also indicated that the real GDP growth stood at N19.04 trillion. However, nominal GDP for the whole of 2018 stood at N127. 76 trillion, representing a nominal growth rate of 12.36 per cent when compared to N113.71 trillion in 2017. Average daily oil production stood at 1.91 million barrels per day (mbpd), lower than the 1.94 mbpd in Q3 2018 as well as 1.95 mbpd recorded in Q4,2017. The oil sector contributed 7.06 per cent to real GDP in Q4, down from 9.38 per cent in Q3 and 7.35 per cent in Q4,2017. The NBS noted that for 2018, the contribution of the oil sector to aggregate real GDP was 8.60 per cent, compared to 8.67 per cent in 2017. On the other hand, the non-oil sector contributed 92.94 per cent to real GDP in Q4, 2018, slightly higher than the 92.65 per cent recorded in Q4 2017. The non-oil sector grew by 2.70 per cent in real terms within the review period. This is 1.25 per cent higher than the growth rate recorded in Q4 2017, and 0.38 per cent higher than the growth rate recorded in Q3 2018. On an annual basis, the non-oil sector recorded a growth rate of 2 per cent in 2018, performing considerably better than 0.47 per cent in 2017. For 2018, annual contribution of the non-oil sector was 91.40 per cent compared to 91.33 per cent in 2017. A breakdown of the sectoral contribution to growth showed that agriculture contributed 26.15 per cent to overall GDP in real terms in Q4, compared to 29.25 per cent in the preceding quarter but slightly higher than the 26.13 per cent recorded in Q4, 2017.